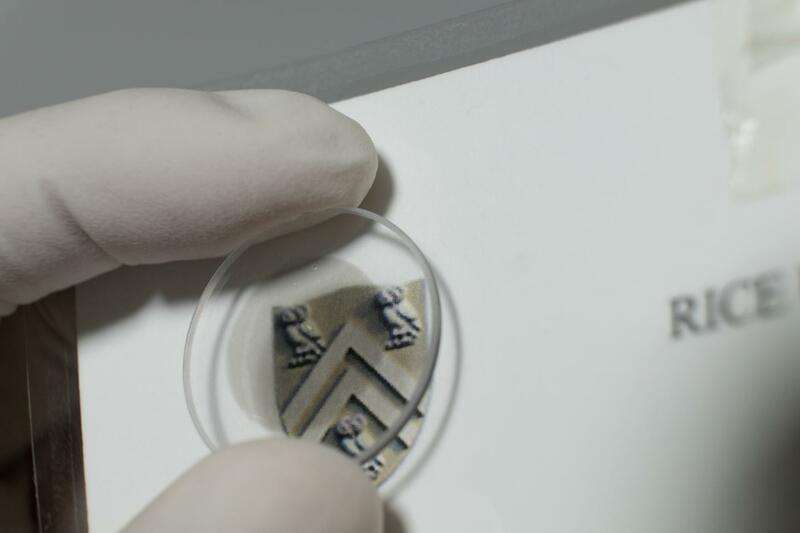 The project came together in the wake of the Kono group's discovery of a way to achieve very tight alignment of carbon nanotubes in wafer-sized films. These films allowed for experiments that were far too difficult to carry out on single or tangled aggregates of nanotubes and caught the attention of Tokyo Metropolitan physicist Kazuhiro Yanagi, who studies condensed matter physics in nano materials. "He brought the gating technique (which controls the density of electrons in the nanotube film), and we provided the alignment technique," Kono said. "For the first time we were able to make a large-area film of aligned nanotubes with a gate that allows us to inject and take out a large density of free electrons." "The gating technique is very interesting, but the nanotubes were randomly oriented in the films I had used," Yanagi said. "That situation was very frustrating because I could not get precise knowledge of the one-dimensional characteristics of nanotubes in such films, which is most important. The films that can only be provided by the Kono group are amazing because they allowed us to tackle this subject." Their combined technologies let them pump electrons into nanotubes that are little more than a nanometer wide and then excite them with polarized light. The width of the nanotubes trapped the electrons in quantum wells, in which the energy of atoms and subatomic particles is "confined" to certain states, or subbands. "Plasmons are collective charge oscillations in a confined structure," he said. "If you have a plate, a film, a ribbon, a particle or a sphere and you perturb the system (usually with a light beam), these free carriers move collectively with a characteristic frequency." The effect is determined by the number of electrons and the size and shape of the object. Because the nanotubes in the Rice experiments were so thin, the energy between the quantized subbands was comparable to the plasmon energy, Kono said. "This is the quantum regime for plasmons, where the intersubband transition is called the intersubband plasmon. People have studied this in artificial semiconductor quantum wells in the very far-infrared wavelength range, but this is the first time it has been observed in a naturally occurring low-dimensional material and at such a short wavelength." Detecting a very complicated gate voltage dependence in the plasmonic response was a surprise, as was its appearance in both metallic and semiconducting single-walled nanotubes. "By examining the basic theory of light-nanotube interactions, we were able to derive a formula for the resonance energy," Kono said. "To our surprise, the formula was very simple. Only the diameter of the nanotube matters." While traditional semiconductor lasers depend on the width of the lasing material's bandgap, quantum cascade lasers do not, said Weilu Gao, a co-author on the study and a postdoctoral researcher in Kono's group that is spearheading device development using aligned nanotubes. "The wavelength is independent of the gap," he said. "Our laser would be in this category. Just by changing the diameter of the nanotube, we should be able to tune the plasma resonance energy without worrying about the bandgap." "One-dimensional metals are predicted to be very different from 2-D and 3-D," Kono said. "Carbon nanotubes are some of the best candidates for observing Luttinger liquid behaviors. It's difficult to study a single tube, but we have a macroscopic one-dimensional system. By doping or gating, we can tune the Fermi energy. We can even convert a 1-D semiconductor into a 1-D metal. So this is an ideal system to study this kind of physics."